I have reviewed quite a few Nip + Fab products by now, so I thought I'd add another to the list. 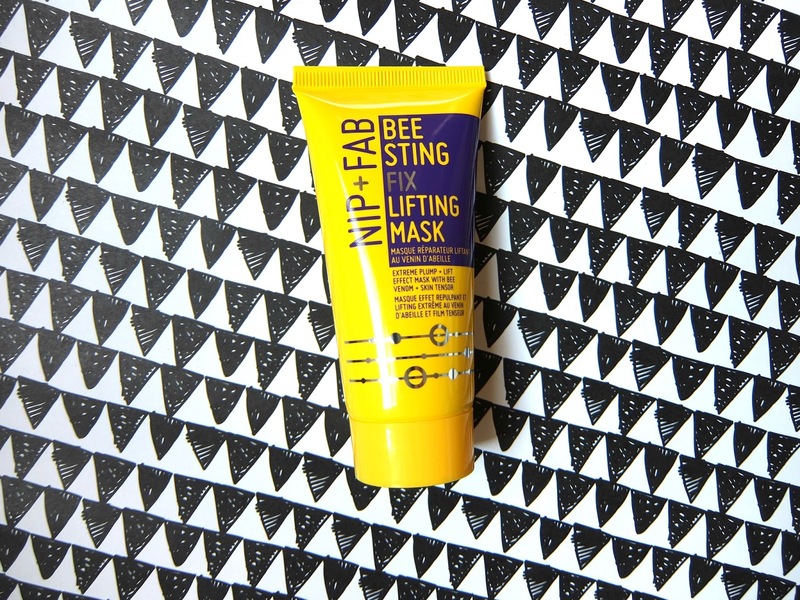 This time its a face mask that lifts skin using bee venom. The Bee Venom within the mask increases blood stimulation and firms the skin. You can either leave the face mask on for 15 minutes or you can sleep with it on depending on how much your skin needs. And it won't dry out your skin because it contains AC moisture complex. The mask itself goes on a little sticky but it drys up within a couple of minutes and its a clear mask so you could wear it around the house and not feel embarrassed.